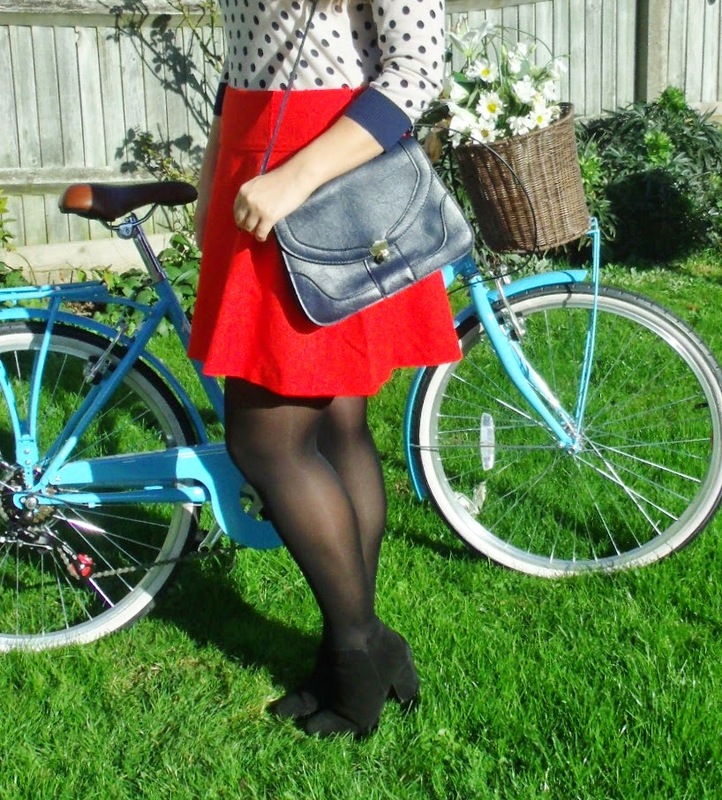 I’ve not done an outfit post in quite a while, and I do kind of miss the fashion aspect of my blog sometimes. I’m not the most confident person in front of the camera but sometimes an outfit can really make me feel a bit more cheerful. 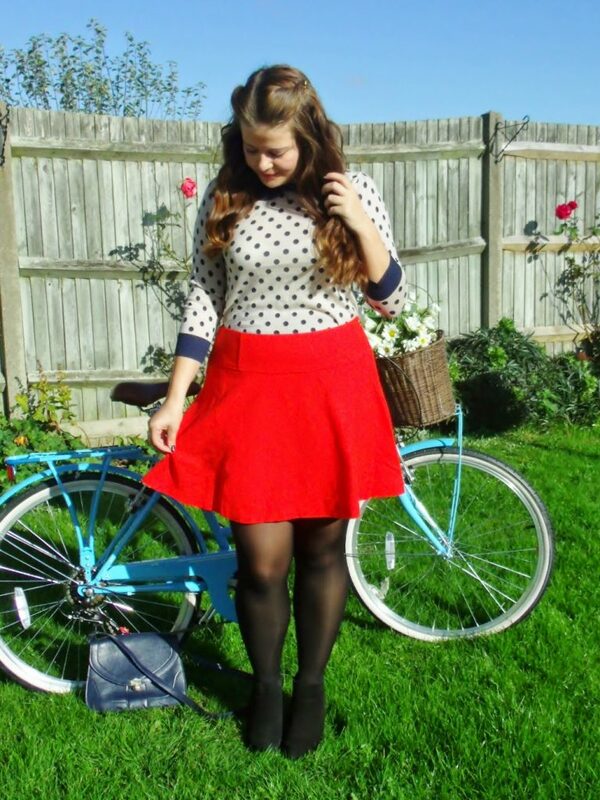 And this has now become one of my favourite outfits that I want to show off because it makes me happy! 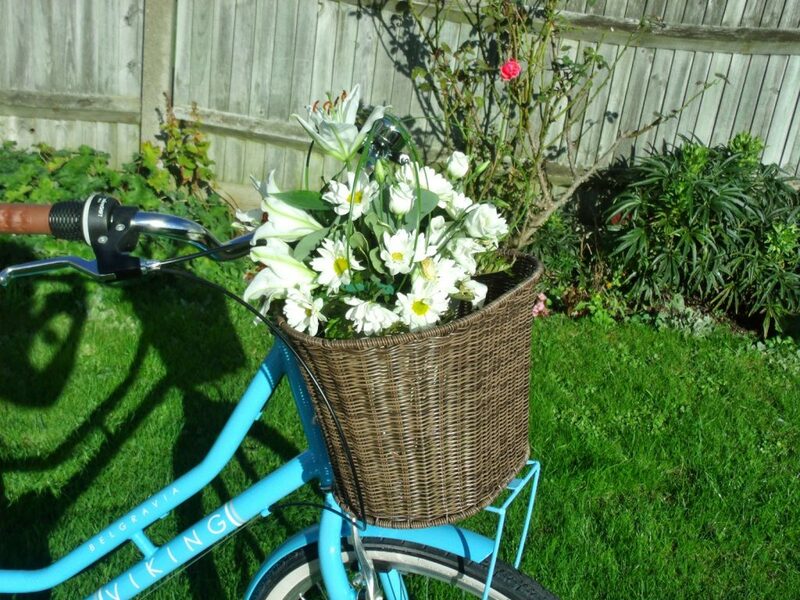 Luckily the sun was shining at the weekend and the sky was a beautiful shade of blue, which created the perfect backdrop against my cute new bicycle. Onto the outfit first, the knitted jumper and skater skirt are both from the AW range from Boden, and it’s easily my favourite winter combo. 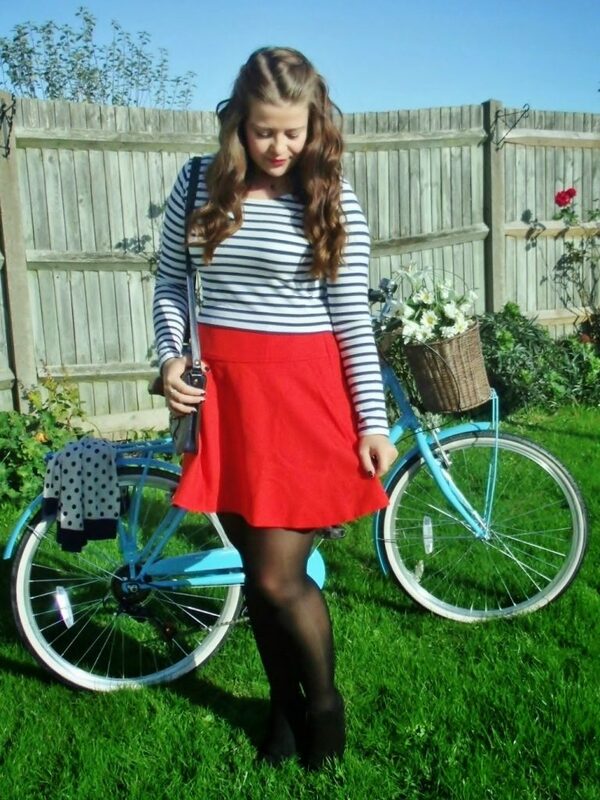 I thought the outfit had a bit of French chic to it, especially with the bike in the background, so I also added a little Eiffel Tower necklace. 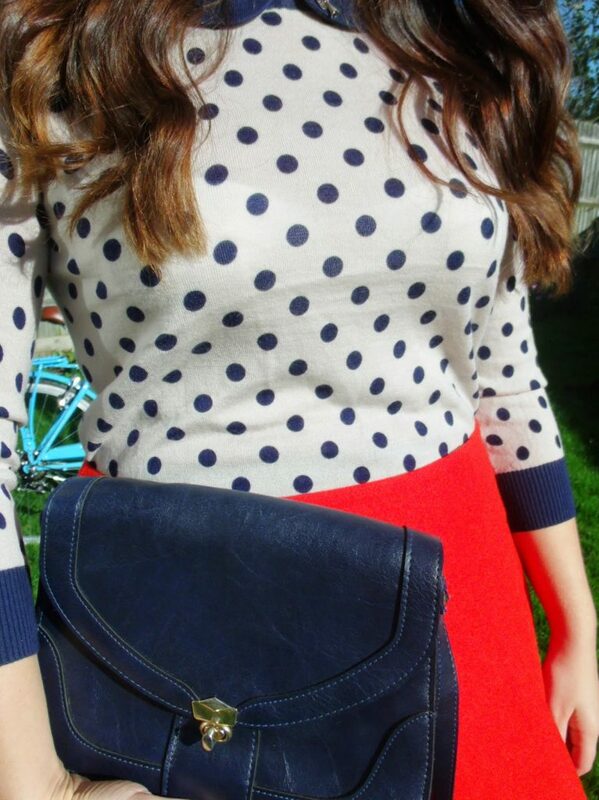 I love the bold red colour of the skirt, which is then softened with the neutral shade of the jumper, but with a cheerful polka dot print. 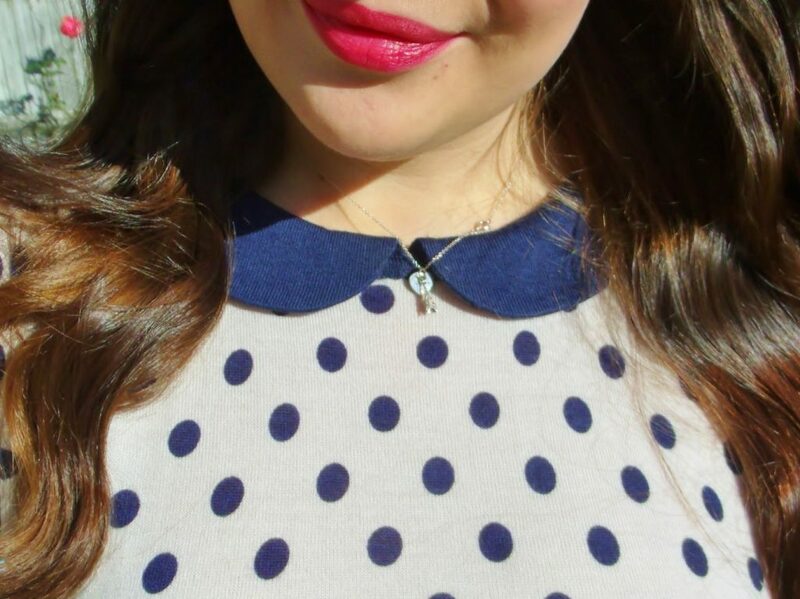 I also love the cute Peter Pan collar on the jumper too. 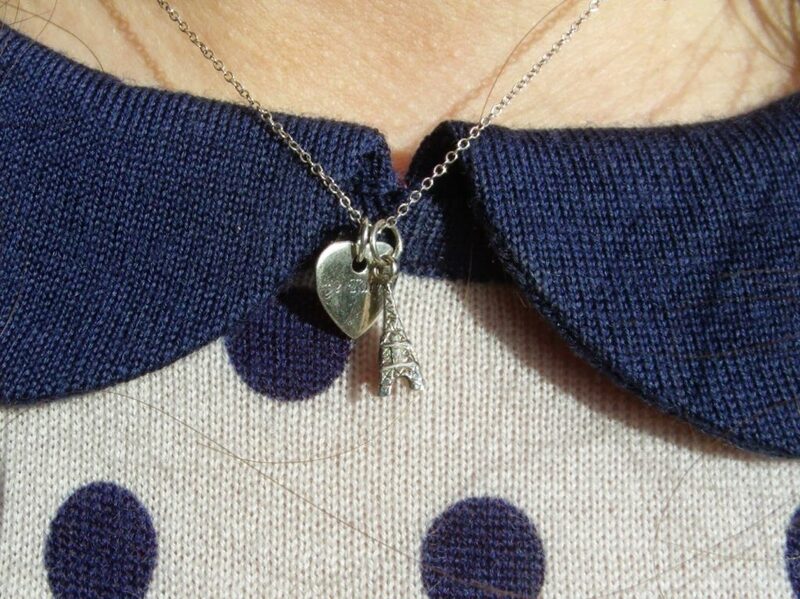 The jumper is the perfect thickness for the autumn/early winter weather before it gets too chilly. The skirt is nice and thick and also lined to keep me warm, and although it’s described as a mini skirt (and I picked a petite size) I would say the length is office friendly! 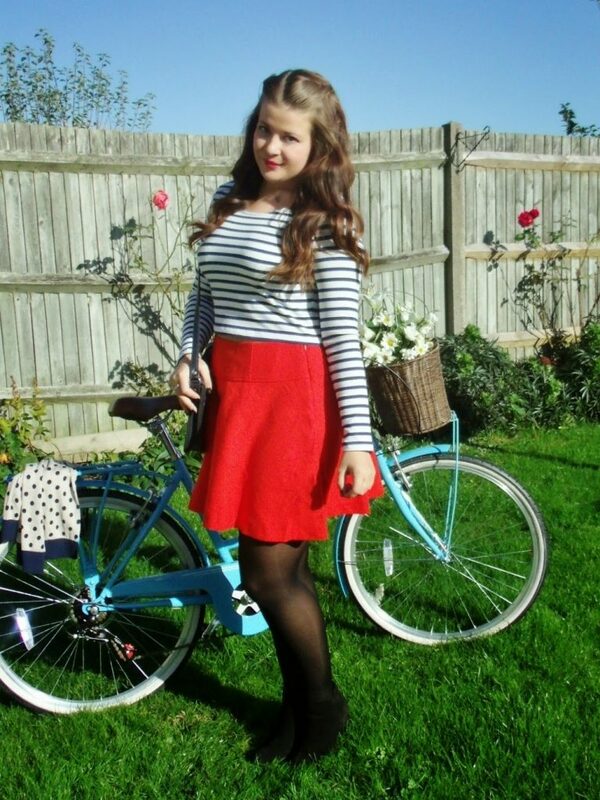 I also wore the skirt with a blue and white stripey crop top from H&M for extra French oh la la! 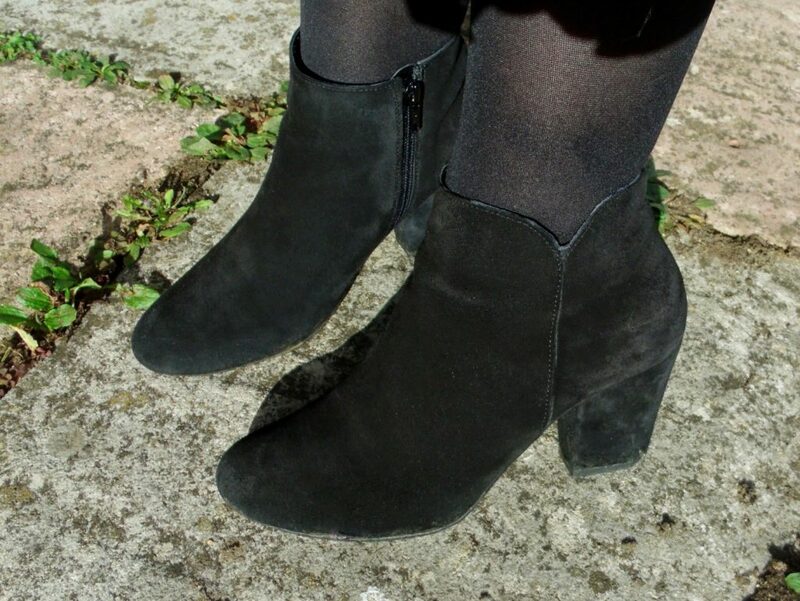 I think my new suede Nano ankle boots from Jones Bootmaker make the perfect footwear to accompany the outfit, and I’m sure they will last me all through winter as I’ve been wearing them non-stop already. They look great with tights and short dresses and the heel is the perfect height for me. 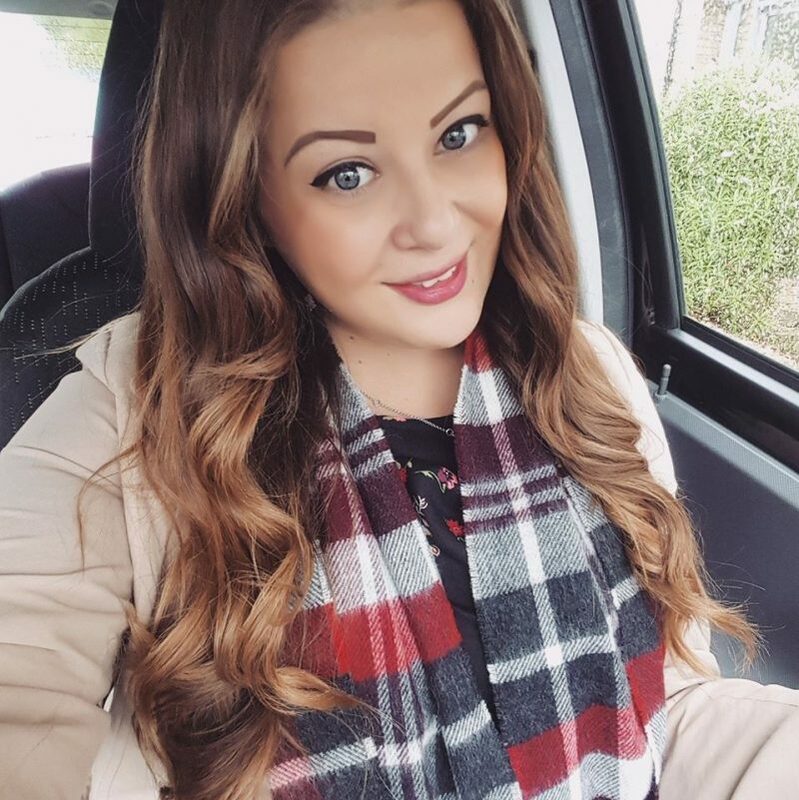 They’re ever so comfortable too, and I’ve been wearing them on shopping trips, job interviews, and to work.. super versatile! To be honest I find that black ankle boots go with pretty much any outfit, and these soft suede ones are the perfect staple. 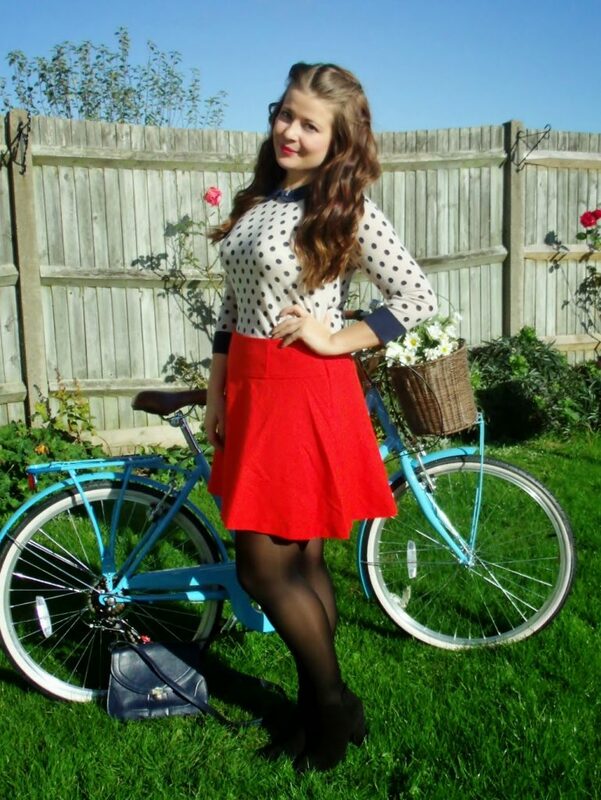 Now onto my new beautiful bicycle! I’d been saying for a year or so now that I’d like a new bike as the one I had been using I received for my 13th birthday over 10 years ago and it wasn’t as trendy as it once was, and also a bit too small for me. I decided I’d like one of these pretty vintage style city bikes instead of another bulky mountain bike (do I ever use bikes on mountains? no). To be honest I don’t go out cycling very often, but I did quite a bit this summer as we have a new cycle path in the village that I made use of. 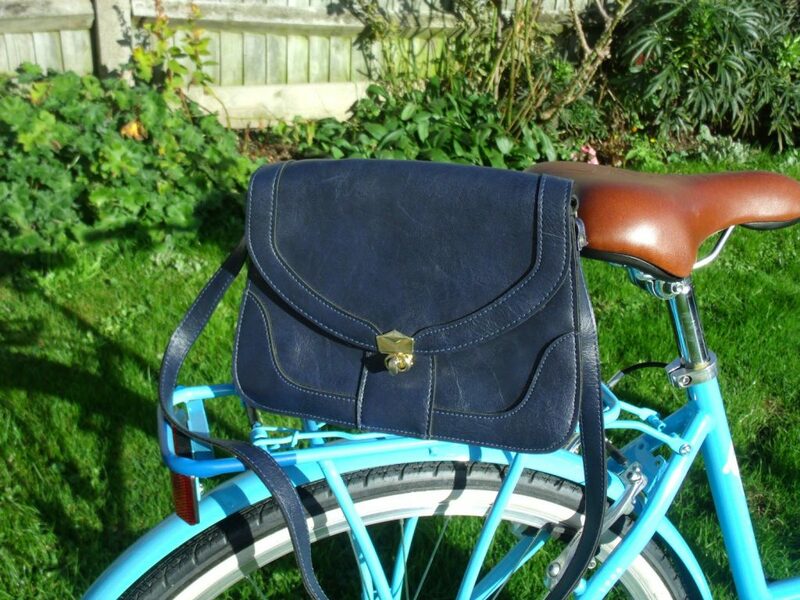 After falling in love with this sky blue Viking Belgravia bicycle I was lucky enough to get it as an early Christmas pressie. 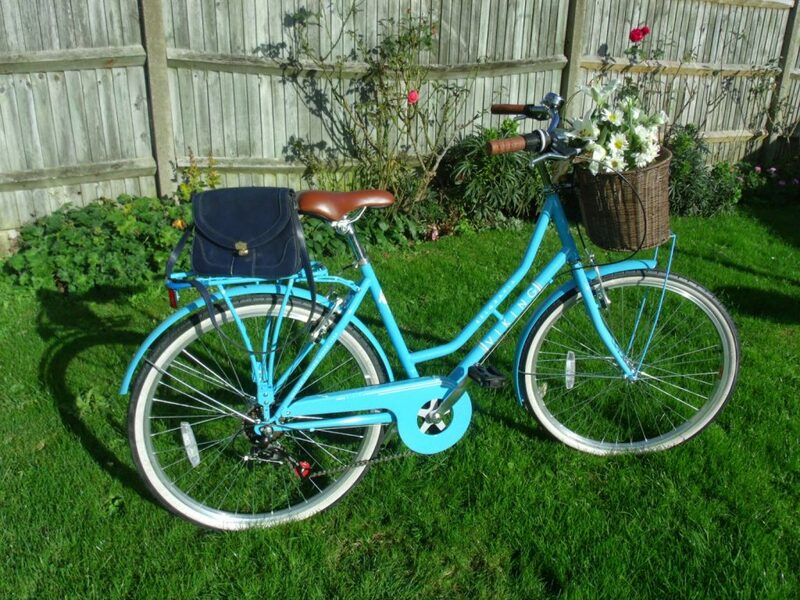 Mine was ordered for only £167 from Winstanley Bikes which we found on Google, and the bike arrived really quickly and I love it. It even has a little basket and dingy bell too! It’s so sweet I can’t wait to take it for a proper ride! Cute outfit, i like the way you styled it.